Reading: The Lottery by Shirley Jackson. Essential reading in many American middle/high schools, the story is more eerie than in-your-face scary, which is probably why it stays with you. And yes, it’s sort of like The Hunger Games but it’s not. Watching: Carrie. I can’t help myself; cheesy horror flicks are my dirty secret but hey- this isn’t Children Of The Corn, and it is a classic. Plus, Sissy Spacek and John Travolta! Listening to: Psy’s new single Gentleman! With 100 million YouTube views and counting, I’m pretty sure a lot of other people out there are listening, too. I’m a fan and I’m not ashamed! Wondering: Is my smartphone frying my brain? My handset does get mighty hot sometimes. 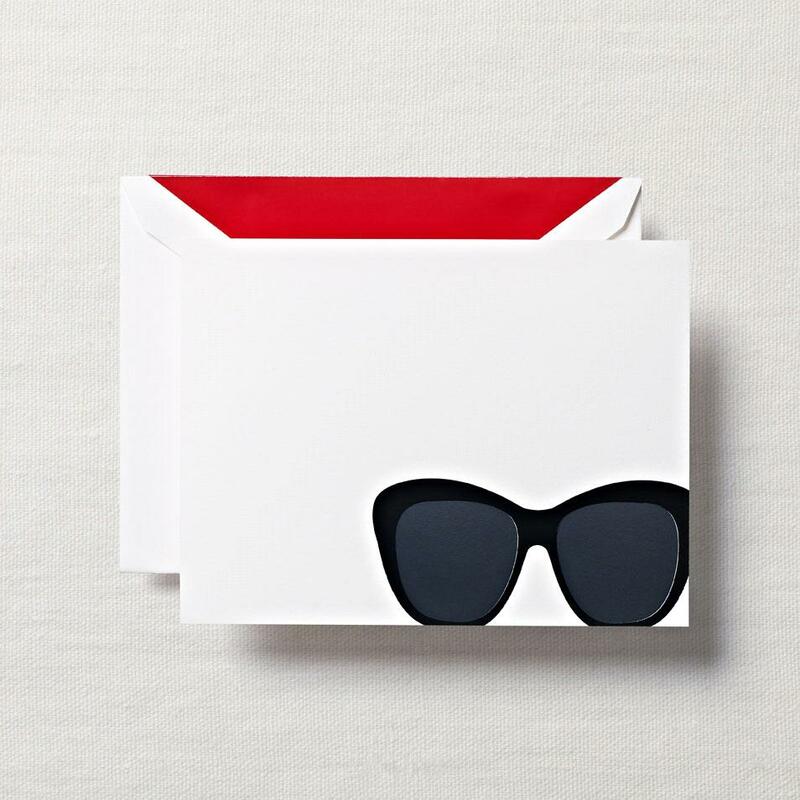 Loving: These Jackie O Glasses notecards, from Crane & Co. Such a cute- and stylish- way to send a letter or thank-you note! Oh definitely! I love Psy. He is so much fun! Loving the Jackie O notecards – very cool! those note cards are ADORABLE!! Waaaaaaaant. They have ones with elephants and teddy bears too! I like the new Psy song as well!